We help businesses implement cutting-edge Data and Analytics solutions and assist them to maximise their investment. Satalyst is a Gold Microsoft partner in Data and Analytics. Notably, our Data and Analytics team is highly skilled and are accredited Microsoft Certified Professionals. Furthermore, the team has extensive experience delivering Data and Analytics solutions for enterprise-sized and medium and small business. Successful businesses are using Data and Analytics to inform strategic and operational decisions. At Satalyst, we understand businesses are changing rapidly and data alone is not enough to keep a business competitive. As a result, both internal and external data must be combined and intersected with cognitive experience to provide an accurate predictive insight. This is why an analytics solution built on a robust and flexible platform is the best place to start. Built on the most robust and complete platform in the market today, we specialise in the Microsoft Data and Analytics platform. We will help your business develop an analytics capability with solutions that will enable your business to make informed decisions based on all the data available to it. tap into internal and external data to learn the more about key stakeholders like customers, employees, and business partners. How mature is your business with Data and Analytics? Many businesses use traditional business intelligence and data warehouses solutions. Traditional solutions will give answers on “What happened” in your business and sometimes “Why did it happen”. However, these answers will not keep your business competitive in today’s data-driven market. Although, the power of cloud computing is seeing sophisticated data and analytics software becoming affordable and in reach for most organisations. And in this era of data and analytics driving business, those embracing new technology and tools to provide modern business-led self-service analytics are getting a competitive advantage. The capability to use predictive analytics and prescriptive analytics empowers businesses to revolutionise processes and make informed decisions like never before. Microsoft provides the most robust, flexible and complete Data and Analytics platform available on the market. It leverages the power of the Microsoft Azure cloud and gives your business the ability to rapidly move from the early stage of Analytics to right through to advanced Prescriptive Analytics. With the power of the Microsoft Data and Analytics platform together with the skill and knowledge of our team, we help businesses move from “What happened” Descriptive Analytics to all the way to the game-changing “How can we make it happen” Prescriptive Analytics. We are skilled, experienced and certified Microsoft specialists working with Data and Analytics solutions built on-premises, in the cloud or a hybrid of both. 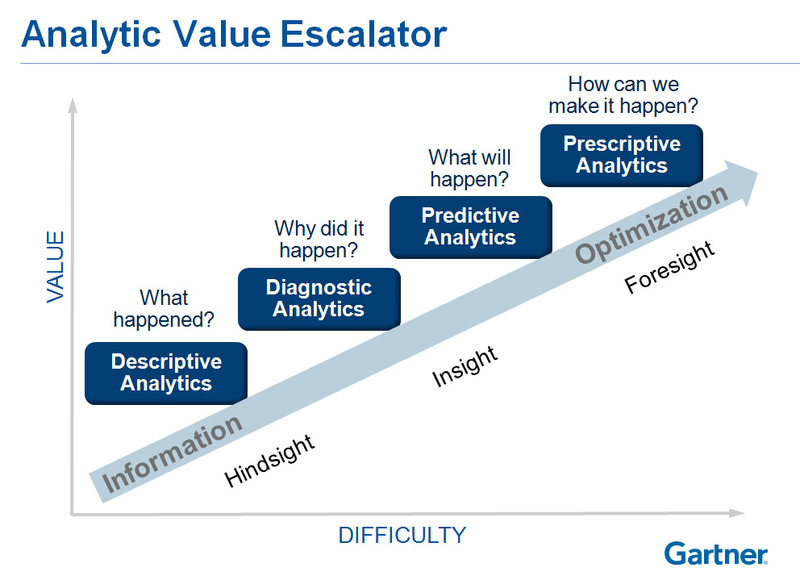 Advanced Analytics represents a collection of techniques and process used to derive insights from external and internal data sources. Providing autonomous or semi-autonomous data analysis, Advanced Analytics enables the discovery of deeper insights, predictions and/or the generation of recommendations. Traditional analytics tools used in Business Intelligence solutions examine historical data. In contrast, Advanced Analytics tools focus on processing large and constant flow of data and predicting future events and behaviors. Some of the analytics categories used are Deep Learning, Machine Learning, Big Data, Data Mining, Graph Analysis, Pattern Matching, Sentiment Analysis, Text Mining, Natural language processing and Predictive Analytics. Machine Learning is a data-driven approach to problem-solving. It is the science of building systems that automatically learn from data without explicitly being programmed. Algorithms detect hidden patterns and trends within data and then leveraged to help make better decisions moving forward. This process of automatically learning from data and in turn using that acquired knowledge to inform future decisions is extremely powerful. Indeed, machine learning is rapidly becoming the engine which powers the modern data-driven economy. Big Data is a part of everyday life. Copious amounts of data are constantly generated every second of the day. From small devices in the home to machinery, traffic patterns, health records, web clicks, web downloads, web history, vehicles, buildings, airplanes, systems, emails, audio, video, images, social network and more. In order to explore and analyse such high volumes of information, new technologies and methodologies, such as Hadoop, Data Lake, HDInsight, Cosmos DB are available and evolving thanks to the power of cloud computing. And it’s because of cloud computing that these technologies are in reach of businesses of all size. We leverage the Microsoft Azure cloud platform to build and run Big Data solutions. As a result, the platform provides scalability and removes the cost of expensive hardware acquisition. Business Intelligence Business Intelligence is a strategy and technology process used for data analytics of enterprise and external data sources. Microsoft Business Intelligence, enables the development of high-quality reports, dashboards, slice and dice functionality, and self-service data discovery. It uncovers and releases the potential of all the data available to your business. Furthermore, it empowers executives, managers, and your employees with information and knowledge to make informed business decisions. Power BI is an analytics solution designed to analyse data, create business reports and rich visualisations to help you understand and get the most out of your data. You can host your reports and dashboards on-premises or in the cloud. Therefore, you will be able to enable to access, analyse and make decisions anywhere, on a desktop or mobile device. Satalyst BI specialists are the top experts in the market to provide Power BI services and guidance. Data Visualisation is one of the most important areas in an Analytic Implementation. Accordingly, visualisations need to be intuitive and empower your employees to easily explore and access the information they care about. At Satalyst we build bespoke data visualisations, dashboards, reports, Key Performance Indicators, scorecards, exception reports and real-time dashboards. Consolidation of data from internal and external data sources is key for an analytics solution. As such, access and integration of all the data sets available to your business will enrich your data and enable a comprehensive analysis of every aspect of your business. We can help you transform your business’ data into useful insights that can be used and consumed by all management levels across your business. We undertake an assessment of your business’ current state view based on the data and analytics maturity model. Further providing a desired future state of solutions, projects, process and team set up to be executed over iterations to increase the data and analytics maturity level. Sometimes this service is also called and Analytics Health Check. One of the big benefits in the last couple of years is the ability to leverage the cloud platform for your Data and Analytics workloads. As such, we will provide an assessment of the benefits of integrating or moving your on-premises Data and Analytics solution to the Cloud. Furthermore, we will identify opportunities to boost your data and analytics capability and identify flexible cost structures for maintenance/support, compute power and storage. Are you looking for Data and Analytics consulting in Perth? Our friendly Data and Analytics team is only a phone call away. Contact us to find out how to make data your biggest business asset. Or fill out the form below and we will be in touch ASAP.